Researchers use supplementation with NMN, NR and NAD+ to restore levels of NAD+ in mice, making them look and behave like they did when young and extending their lifespan. Although they have similar effect in some organs, it seems there are differences in the effect they have in other tissues throughout the body. We cover some results from research comparing with NMN vs NR here, and debunk some of the claims that Chromadex makes about NR vs NMN here. The NAD+ molecule is twice as large as NR or NMN, and is totally degraded in the Gastro-Intestinal tract, so researchers do not use NAD+ in drinking water of mice and it is not sold in capsule form for humans. Research has been successful using NAD+ injections in mice. 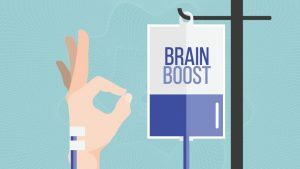 In humans, clinics that provide NAD+ by IV are exploding in popularity, even though they charge over $1,000 a day and require the patient to be hooked up to a drip IV for 8 hours. NMN and NR capsules are only partially digested in the stomach, but are almost totally metabolized in the liver and excreted as NAM (Liu, 2018). Molecules like NMN, NR and NAD+ that have low molecular weight and are hydrophilic can be absorbed through the capillaries under the tongue directly into the bloodstream. This is called Sublingual (under the tongue) delivery. 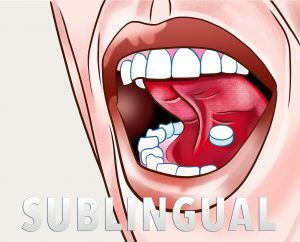 Sublingual delivery can bypass the stomach and liver. This solves the bioavailability problem of capsules that get digested in the stomach, so NAD+ can be used instead of NAD+ precursors. It also greatly improves the effectiveness of NMN. NR is not stable by itself (see below) , so Chromadex adds Chloride to make it stable. Unfortunately, the taste is not acceptable for sublingual use. So NR is only available in capsule form, which much pass through the stomach and liver where it is metabolized to the less effective Nicotinamide (Liu, 2018) . The hypothalamus is the master regulator of metabolism which impacts the entire body,and is theorized to be a central clock that controls aging itself.NAD+ crosses the blood brain barrier to increase NAD+ in the hypothalamus to increase energy expenditure and decrease hunger. (more below). Administration of LABELED NAD+ by IP and IV injection of just 1 mg/kg a day demonstrated that exogenous NAD+ crosses the blood brain barrier to enter the hypothalamus INTACT, reduces hunger and weight gain, and increases energy expenditure and fat burning in mice. This might explain why In humans, NAD+ clinics have found success treating addictions and other brain imbalances, but NR and NMN have not been used in similar fashion. Below are some of the disease and illnesses that we believe NAD+ supplementation is more effective for than NMN. Research has also shown NAD+ supplementation to be effective for the following conditions (more here). Once in the bloodstream NAD+ was thought to be too large to cross the cell membrane, making it ineffective at restoring the NAD+ contents inside the cells of many tissues. In this article we show that is not true for heart and brain, and perhaps other tissues. In fact, this research published in March 2018 shows NAD+ is able to cross the blood brain barrier and quickly increases levels of NAD+ in the hypothalamus, while NR and NMN do not. Administration of 1 mg/kg of NAD+ reduced hunger and weight gain, and increases energy expenditure and fat burning in mice (r). Elevating NAD+ levels the hypothalamus has great impact throughout the body, as it regulates hunger and energy expenditure. Restoring NAD+ levels in the hypothalamus to those of a young animal is very likely to have a positive impact on organs and tissues throughout the body. Even more tantalizing are the possible implications for aging itself. That the hypothalamus as master aging clock, is a credible theory on aging. The hypothalamus in particular has emerged as an integrating, superordinate master regulator of whole-body energy homeostasis. In summary, the hypothalamus plays a key role in the regulation of appetite and food intake both in humans and rodents. Hypothalamic inflammation impairs the effects of insulin and leptin, contributing not only to hyperphagia and obesity development but also to the associated dysregulation of glucose homeostasis. Energy homeostasis is controlled mainly by neuronal circuits in the hypothalamus and brainstem. 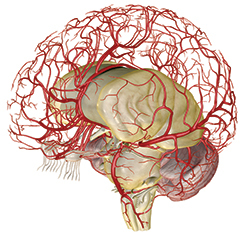 The hypothalamus is the region of the brain that controls food intake and body weight. Leptin and insulin signal the status of body energy stores to the hypothalamus. These peripheral hormones influence their effects on energy homeostasis either by activating or inhibiting the activity of the orexigenic or anorexic peptides within the hypothalamus. Supplying NAD+ direct to the bloodstream bypasses the liver, temporarily enabling a greater increase in NAD+ levels. Any NAD+ (or NMN) in the bloodstream will get filtered out by the liver in 30-60 minutes. So after an initial spike in NAD+, the same limits imposed by homeostasis in the liver will likely take effect. This is why NAD+ clinics use slow IV drips to constantly supply NAD+ to the bloodstream rather than a single large daily injection of NAD+. Frequent dosages throughout the day of our NAD+ sublingual tablets provide a steady supply of NAD+ direct to the bloodstream, avoiding the limits imposed by homeostasis in the liver. Is there an Aging Clock in the Hypothalamus? There are a number of lifestyle changes you can make to increase NAD+ in you body. Lowering blood glucose levels minimizes inflammation, which consumes NAD+. 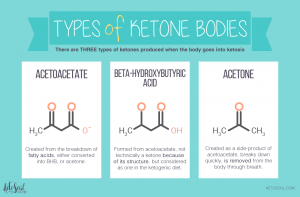 Ketosis is a metabolic state in which fat provides most of the fuel for the body. It occurs when there is limited access to glucose (blood sugar), which is the preferred fuel source for many cells in the body. Ketosis can occur in many different diet plans whenever carb intake is low, but is most often associated the Ketogenic Diet, as that is a much easier method for restricting carbs (3, 4, 5, 6). Recent research now shows Ketosis provides the benefit in life extension, lowering inflammation and boosting NAD+ (3,9). Intermittent or Periodic Ketosis is also effective at extending lifespan and likely achieves much of the benefit (36,37). Some research even shows more benefit from a cyclical rather than a full time Ketogenic Diet (71). The Red bars in the chart at left show the increased levels of the Ketone Body BHB produced from a cyclical Keto diet, resulting in Increased NAD+ and greatly improved neurological function and health. Exercise is very effective at boosting AMPK and NAD+, especially when performed at times of low blood glucose levels ( more about HIIT ). Short bouts of HIIT accomplishes the goal, while avoiding overtraining from endurance workouts which increases inflammation and consumes NAD+ (55). 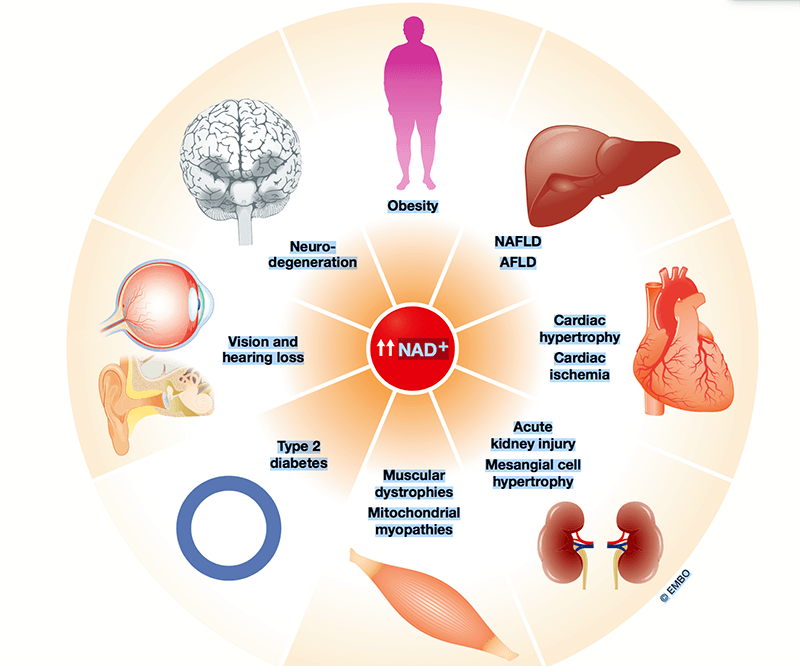 Several evidences suggest a decline in NAD+ levels while we age, connecting NAD+ deficits to age-related diseases and cancer. Inflammation increases during the aging process possibly due to the presence of senescent cells . CD38 and bone marrow stromal cell antigen-1 (BST- 1) may provide explanations to NAD+ decline during aging. CD38 is a membrane-bound hydrolase implicated in immune responses and metabolism. NAD+ can be degraded through its hydrolysis, deacetylation, or by NAD+ nucleosidases (also called NAD+ hydrolases or NADases) such as CD38. Expression and activity of CD38 increase in older mice, promoting NMN degradation in vivo, responsible for NAD+ decline and mitochondrial dysfunctions . Interestingly, loss of CD38 inhibits glioma progression and extends the survival of glioma- bearing mice. Targeting CD38 in the tumor microenvironment may clearly serve as a novel therapeutic approach to treat glioma . Daratumumab, a CD38 monoclonal antibody, rep- resents a first-in-class drug for the treatment of multiple myeloma. It promotes T cell expansion through inhibition of CD38+ immunosuppressive cells, improving patients’ responses . These findings suggest that NAD+ boosters should be combined with CD38 inhibitors for a more efficient antiaging therapy. NAD+ increases can also occur independently of the Preiss–Handler route. NAM and NR are important NAD+ precursors first converted to nicotinamide mononucleotide (NMN) by nicotinamide phosphoribosyltransferase (NAMPT) and NR kinase (NRK), respectively. NMN is then transformed into NAD+ by NMN adenylyltransferase . As we age, our bodies undergo changes in metabolism, and a key part of these processes may affect de novo NAD+ synthesis, also called the L-tryptophan/kynurenine pathway (see Figure IB in Box 1). In mammals, the use of the de novo NAD+ biosynthetic pathway is limited to a few specific organs. Finally, dysregulation of the kynurenine pathway is also linked to genetic disorders and age-related diseases such as obesity and cancer [14,15]. These age-associated changes in de novo NAD+ biosynthesis may have the potential to impact several biological processes, and thus contribute to age-related diseases and cancer in the elderly. Animal models mimicking downregulation of NAD+ biosyn-thesis are needed to modulate its activity and understand its pathophysiological relevance in age-related pathologies and cancer. In humans, a lack of nicotinic acid (NA, also called niacin) in the diet causes the vitamin B3 deficiency disease pellagra, characterized by changes in the skin with very characteristic pigmented sunburn-like rashes developing in areas that are exposed to sunlight. 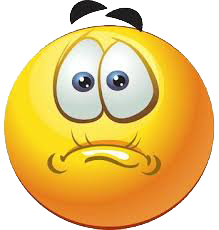 Likewise, people with chronic L-tryptophan-poor diets or malnutrition develop pellagra. Furthermore, several epidemiologic studies in human reported an association between incidence of certain types of cancers and niacin deficiency . In this regard, low dietary niacin has also been associated with an increased frequency of oral, gastric, and colon cancers, as well as esophageal dysplasia. In some populations, it was shown that daily supplementation of niacin decreased esophageal cancer incidence and mortality. Although the molecular mechanisms of niacin deprivation and cancer incidence are not well understood, it has been recently reported that NAD+ depletion leads to DNA damage and increased tumorigenesis, and boosting NAD+ levels is shown to play a role in the prevention of liver and pancreatic cancers in mice [19,28,29]. Thus, malnutrition through inadequate amounts and/or diversity of food may affect the intra- cellular pools of nicotinamide and NAD+ thereby influencing cellular responses to genotoxic damage, which can lead to mutagenesis and cancer formation [19,27]. NAD+ boosters are therefore essential in patients at risk of exposure to genotoxic and mutagenic agents, including ionizing or UV radiations or, DNA damaging chemicals. In addition, niacin deficiency in combination with carcinogenic agents was described to induce and increase tumorigenesis in rats and mice. For instance, in rats, the lack of niacin together with carcinogen treatment increased tumorigenesis and death of rats [30,31]. Additionally, in mice, the incidence of skin tumours induced by UV was significantly reduced by local application of NAM or by niacin supplementation in the diet . Recent research has focused on uncovering the consequences of a decrease in NAD+ during aging using age-related disease models. In PGC1a knockout mouse, a model of kidney failure, NAD+ levels are reportedly decreased, and boosting NAD+ by NAM improves kidney function . NAM injections during four days re-establish local NAD+ levels via nicotinamide phos- phoribosyltransferase (NAmPRTase or NAMPT) activation and improve renal function in postischaemic PGC1a knockout mice . Surgical resection of small renal tumors can induce kidney ischemia severely affecting the renal function. Therefore, NAD+ boosters can be beneficial to protect the organ from severe injury. Moreover, in a model of muscular dystrophy in zebrafish, NAD+ increases, which functions as an agonist of muscle fiber–extracellular matrix adhesion, and corrects dystrophic phenotype recovering muscle architecture . Further research has extensively used NR to ameliorate the effects of NAD+ deficits in pleiotropic disorders. NR naturally occurs in milk [35,36]. NR is converted to NAD+ in two step reactions by nicotinamide riboside kinases (NRKs)-dependent phosphorylation and adenylylation by nicotinamide mononucleotide adenylyl transferases (NMNATs) . It is considered to be a relevant NAD+ precursor in vivo. Evidences demonstrate the beneficial effect of NR in skeletal muscle aging [37,38] and mitochondrial-associated disorders, such as myopathies [39,40] or those characterized by impaired cytochrome c oxidase biogenesis affecting the respiratory chain . In line of these findings, a mouse model of Duchenne muscular dystrophy present significant reductions in muscle NAD+ levels accompanied with increased poly-ADP-ribose polymerases (PARP) activity, and reduced expression of NAMPT . Replenishing NAD+ stores with dietary NR supplementation improved muscle function in these mice through better mitochondrial function . Additionally, enhanced NAD+ concen- trations by NR are apparently beneficial for some neurodegenerative diseases , as well as in noise-induced hearing loss . NR-mediated NAD+ repletion is also protective, and even therapeutic, in certain metabolic disorders associated with cancer, such as fatty liver disease [28,45] and type 2 diabetes [28,46]. Metabolic disorders characterized by defective mitochon- drial function could also benefit from an increase in NAD+ levels. Indeed, stimulation of the oxidative metabolism in liver, muscle, and brown adipose tissue potentially protects against obesity . Interestingly, NAMPT protein levels are not affected in chow- and high fat diet (HFD)-treated mice fed with NR, arguing that in models of obesity, NR directly increases NAD+ levels without affecting other salvage reactions . 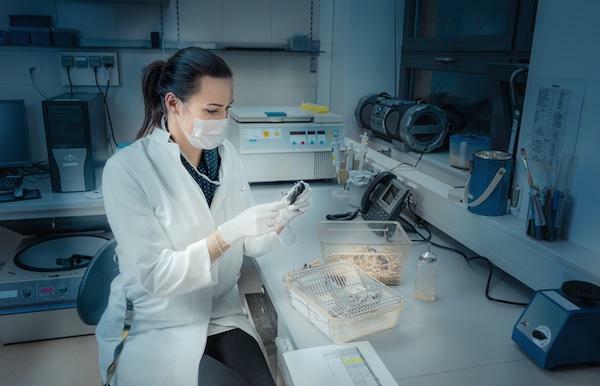 Recently, diabetic mice with insulin resistance and sensory neuropathy treated with NR reportedly show a better glucose toler- ance, reduced weight gain and liver damage, and protection against hepatic steatosis and sensory and diabetic neuropathy . NMN is also a key biosynthetic intermediate enhancing NAD+ synthesis and ameliorates various pathologies in mouse disease models [49,50]. Very recent research demonstrate that a 12- month-long NMN administration to regular chow-fed wild-type C57BL/6 mice during normal aging rapidly increases NAD+ levels in numerous tissues and blunts age-associated physio- logical decline in treated mice without any toxic effects . NMN is also beneficial in treating age- and diet-induced diabetes, and vascular dysfunction associated with aging in mice [51,52]. Administration of NMN also protects the heart of mice from ischemia-reperfusion injury  and restores mitochondrial function in muscles of aged mice [37,54]. It has been speculated that NMN is a circulating NAD+ precursor, due to the extracellular activity of NAMPT . However, the mechanisms by which extracellular NMN is converted to cellular NAD+ still remain elusive. On the one hand, it is reported that NMN is directly trans- ported into hepatocytes . On the other hand, NMN can be dephosphorylated to NR to support elevated NAD+ synthesis [56–59]. It is recently shown that NAM can be metabolized extracellularly into NMN by extracellular NAMPT. NMN is then converted into NR by CD73 . Hence, NR is taken up by the cells and intracellularly phosphorylated firstly into NMN by NRKs and then, converted into NAD+ by NMNATs  (Figure 3). Thus, mammalian cells require conversion of extracellular NMN to NR for cellular uptake and NAD+ synthesis. Consistent with these findings, in murine skeletal muscle specifically depleted for NAMPT, administration of NR rapidly restored muscle mass by entering the muscles and replenishing the pools of NAD+ through its conversion to NMN . Interestingly, mice injected with NMN had increased NAM in their plasma that may come after initial conversion of NMN into NR . However, degradation of NR into NAM could only be observed when cells were cultured in media supplementing with 10% FBS . Finally, it is important to note that NR is stably associated with protein fractions in milk with a lifetime of weeks . Notably, as reported above, NMN may be degraded by CD38 in older mice promoting NAD+ decline and mitochondrial dysfunctions , suggesting that NR may be more efficient than NMN in elderly. Yet, the beneficial synergistic activation of sirtuins and metabolic pathways to replenish NAD+ pools cannot be excluded. However, given its efficient assimilation and high tolerance, NR represents still the most convenient and efficient NAD+ booster. Overall, these findings suggest that NAD+ decrease in disease models and NAD+ precursors (NAM, NR or NMN) may circumvent NAD+ decline to generate adequate levels of NAD+ during aging and thus be used as preventive and therapeutic antiaging supplements. NMN and NR supplementations may be equivalent strategies to enhance NAD+ biosynthesis with their own limitations. Clearly, several intermediates of the salvage pathway can be considered to boost NAD+ levels but some have contraindications. High doses of NA given to rats are needed to robustly increase NAD+ levels . Additionally, relevant and unpleasant side effects through NA-induced prostaglandin- mediated cutaneous vasodilation (flushing) affecting patient compliance are due to the activation of the G-protein-coupled receptor GPR109A (HM74A) and represent a limitation in the pharma- cological use of NA . NAM is much less efficient than NA as a lipid lowering agent and has also several side effects; in particular, it causes hepatic toxicity through NAM-mediated inhibition of sirtuins . Enhancing the activity of enzymes that participate in salvage reactions can also be a strategic intervention to increase NAD+ concentrations. Different studies have addressed the importance of regulating the activity of NAMPT during disease, including metabolic disorders and cancer. NAMPT is necessary in boosting NAD+ pools via the salvage pathway. Consequently, NAMPT deletion provokes obesity-related insulin resistance, a phenotype rescued by boosting NAD+ levels in the white adipose tissue by giving NMN in drinking water . Conversely, in a mouse model for atherosclerosis, NAMPT depletion promotes macro- phage reversal cholesterol transport, a key process for peripheral cholesterol efflux during atherosclerosis reversion . Other recent reports suggest that NAMPT downregulation could be beneficial in treating pancreatic ductal adenocarcinoma [69,70] and colorectal cancer . Recent findings show that Duchenne muscular dystrophy was accompanied by reduced levels of NAMPT in mice . Moreover, NAMPT knockout mice exhibit a dramatic decline in intramuscular NAD+ content, accompanied by fiber degeneration and progressive loss of both muscle strength and treadmill endurance. NR treatment induced a modest increase in intra- muscular NAD+ pools but sufficient to rapidly restore muscle mass. Importantly, overexpres- sion of NAMPT preserves muscle NAD+ levels and exercise capacity in aged mice . Inhibitors against NAMPT are being used in several phase II clinical trials as anticancer therapy. Given that NAMPT activation is important to boost NAD+ levels, therapy involving NAMPT inhibition should be considered with caution. Although levels of NAD+ remain to be determined in models with NAMPT depletion, further investigation on the effects of NAMPT modulation is clearly required. The specific mechanisms and actual benefits of regulation of NAMPT activity remain elusive, evidencing the need of more specific disease models. Can Dietary Restriction and Protein Catabolism Maintain NAD+ Levels? Among the questions that still remain not well understood is why DR profoundly increases lifespan? Can DR affect NAD+ levels? It is well established that overfeeding and obesity are important risk factors for cancer in humans  and obesity-induced liver and colorectal cancer, among others, can shorten lifespan. 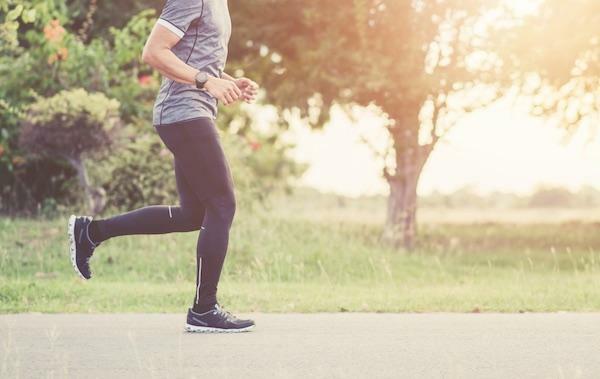 Earlier research has also shown that both increased physical activity and reduction in caloric intake (without suffering malnourishment) can extend lifespan in yeasts, flies, worms, fish, rodents, and primates [3–8]. Furthermore, a recent study pointed to the importance of the ratio of macronutrients more than the caloric intake as the determinant factor in nutrition-mediated health status and lifespan extension . Although in humans it is difficult to measure the beneficial effects of DR and currently there is no reliable data that describe the consequences of significantly limiting food intake, some studies have assessed how DR affects health status. People practicing DR seem to be healthier, at least based on risk parameters such as LDL cholesterol, triglycerides, and blood pressure . Activation of the salvage pathways during DR could be turned on and glucose restriction can stimulate SIRT1 through activation of the AMPK-NAMPT pathway resulting in inhibition of skeletal myoblast differentiation . 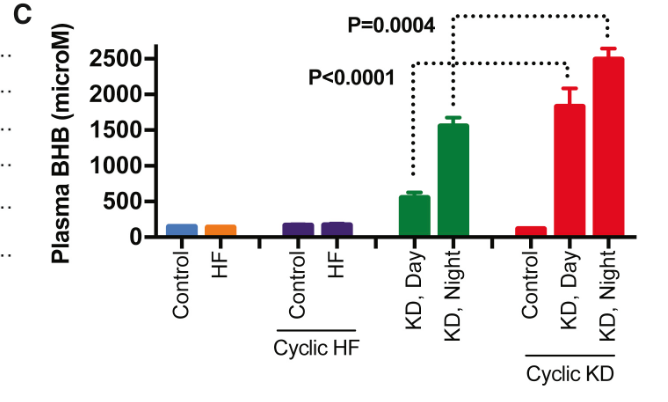 Interestingly, effects of NMN supplementation and exercise on glucose tolerance in HFD-treated mice are very similar . Even though these effects are tissue-specific since exercise predominantly affects muscle, whereas NMN shows major effects in liver, and that mechanism of action can be different, exercise and NMN predominantly affect mitochondrial functions and may both contribute to the boost of NAD+. It is thus tempting to speculate that L-tryptophan concentrations and thus the de novo NAD+ biosynthesis could fluctuate during DR ameliorating the aging process. 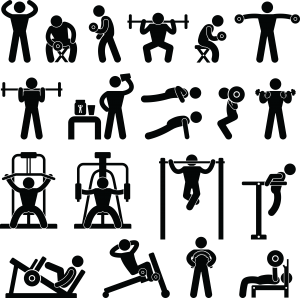 Recent studies in humans and mice suggest that moderate exercise can increase blood NAD+ levels and decrease L-tryptophan levels . A possible explanation for this phenomenon is that DR, and/or exercise, can induce autophagy and promote the release of several metabolites and essential amino acids . Aging is proposed to be responsible for diverse pathologies, however, it should be considered as a disease among other diseases that appear in time while individuals age. Although some questions still remain unclear, NAD+ precursors may present possible therapeutic solutions for the maintenance of NAD+ levels during aging and thus may provide prophylaxis to live longer and better. Although more research is needed to understand the efficacy as well as potential adverse side effects of NAD+ Replacement Therapies in humans, recent studies already provided some pharmacological properties, showing low toxicity and high effectiveness. Sublingual delivery is required for all NAD+ metabolites and precursors to avoid digestion in the stomach and liver. NAD+ clinics use slow drip IV of NAD+ to avoid the stomach and liver. They are exploding in popularity, but the extreme cost and time required for treatment severely limit their application for the general public. Sublingual NAD+ delivery solves the bioavailability problem and mimics the slow drip delivery used successfully by NAD+ IV clinics. Sublingual NAD+ is not subject to the homeostasis that limits NAD+ increase with NR (and perhaps NMN), as it is supplied directly to the bloodstream. We believe the ability of NAD+ to increase metabolism through the hypothalamus has a great impact on the entire body. This is accomplished directly from increased NAD+ circulating in blood plasma, and not from NMN or NR. Other organs such as heart, liver, kidney, and lungs also clearly benefit from increased circulating NAD+, but there is evidence NR an NMN may have similar effectiveness. Exogenous NR increases circulating NAD+ levels, but after several weeks, that increase is severely limited by homeostasis. Exogenous NMN elevates NAD+ levels similar to NR, but seems to be less limited by homeostasis. Publication of recently completed research should shed more light on that question. NMN demonstrates a remarkable ability to rapidly restore vascular growth that has not been shown with use of NR or NAD+. Sublingual NAD+ will lead to a greater increase in circulating NAD+ than NR or NMN supplements.